Attacking midfielder Nicky joined Pollok from Clydebank in the summer of 2017. After playing locally in Inverclyde, he took his footballing career overseas to study PE in the USA at Oakland City University, playing soccer with Oakland City Athletics. He signed for Largs Thistle on his return during the 2012-13 season, and thereafter spent the 2014 and 2015 seasons in Australia with Perth outfit Shamrock Rovers. He joined Clydebank on his return from Australia. 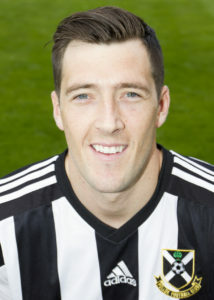 After just one season at Newlandsfield, he left Pollok in June 2018.